Home Article 'Gold Rush' Star Parker Schnabel's Current Relationship; Does He Have A New Girlfriend? 'Gold Rush' Star Parker Schnabel's Current Relationship; Does He Have A New Girlfriend? 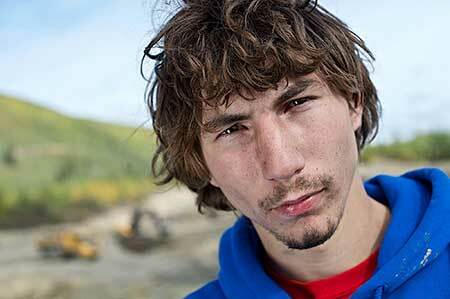 Parker Schnabel's adventures and challenges in the show 'Gold Rush' definitely make anyone go crazy for him. He received huge fame with his own adventure special on the network Parker’s Trail in 2017. Following the footsteps of his family, Schnabel has always become fans favorite. Though he's quite open on-screen, he is tight-lipped when it comes to his personal life. Is he a married man or dating someone in secret? Let's get the details in today's session. Parker Schnabel's Current Relationship; Does He Have A New Girlfriend? 'Gold Rush' star Parker Schnabel who gained wide recognition from the very show on Discovery channel has a great interest in mining from his childhood days. Things became easy for him as his father and grandfather were also involved in the same business. Gaining wide popularity all across the world, his personal life has become a matter of talk for his fans. He was in a relationship with a girl named Ashley Youle for a long time. Parker confirmed his relationship with Youle in 2016. He mentioned that the two met for the first time in Australia. Though the pair had been together for quite a long time, some sources say that they are no longer dating. One of his Instagram posts in the month of July 2018 everyone speculates that he's moved forward with a new girlfriend in his life. The new pair looked picture perfect together as sat next to each other during the photo shoot. As Schnabel has not revealed the story behind the post, things are still a mystery. We wish to know further details in the upcoming days. Schnabel was involved in the mining right from his childhood days as his parents were also involved in the same business. Some sources say that he used his college fees to set his own mining business. 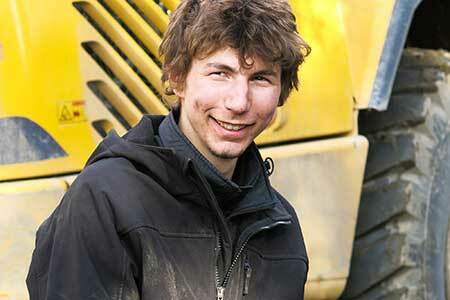 His keen dedication in mining got him a role in the Discovery Channel TV series 'Gold Rush'. The show follows the placer gold mining efforts of several families who run mining companies. Apart from being the part of the reality show, he has been in charge of the daily operations of a family mining firm Big Nugget Mine. He found 1029 ounces of gold in the fourth season with 3362 oz in the fifth season worth $3.7 million. He is said to have mined more than $13 million gold during the show. In 2017, Schnabel announced that he will be starring in his own docuseries, Gold Rush: Parker's Trail. His new series is produced by Raw Television for Discovery with Mark Carter and Peter Campion as series producers and Ceri Smith as the production executive. Born on 22 July 1994 in Haines, Alaska to the family of Nancy and Roger Schnabel. His grandfather John Schnabel is a renowned miner. He is also in a construction business and the owner of the Southeast Road Builders.